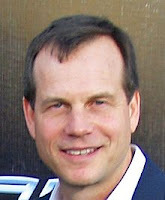 For some reason, I really know nothing about Bill Paxton. But he's the star of HBO's Big Love, the hit series about Mormon polygamy. It looks like an interesting show. I guess he's one of those people whose face you know more than his name. After all, he's been in tons of great movies, like Stripes, Apollo 13, Weird Science, Club Dread, and Titanic. 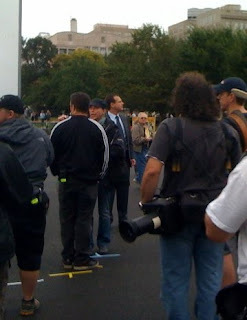 While not as thrilling as my recent sighting of Paul Rudd and Jack Nicholson, it was still fun to see Paxton and the Big love crew filming today outside the White House among the hunger strikers and other straggling protesters. It was a nice little break in the middle of my 50 state streets ride throughout D.C.